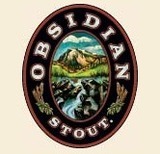 Smooth and black, like the volcanic rock, Obsidian Stout is a solid, satisfying beer with a rich roasted-malt flavor. Obsidian Stout gets is inspiration from one of the world’s largest obsidian flows at Newberry Volcano—just a few miles south of the brewery. “The Big Obsidian Flow,” as they call it, covers more than 700 acres with shiny black obsidian.